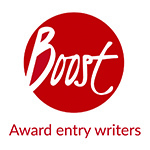 ‘Delivering Wow’ is one of Boost’s values, and it’s one of the reasons we continue to be the global market leader for award entry writing. Our reputation has been built by our creative, friendly team and our love of harbouring talent to engender excellence in everything we do. We’re always on the lookout for talented people who would work well with our team, so if your flair is writing or evidencing award submissions we’d love to hear from you to see if we could engage your talent. If you think you’d work well with us, please send your CV to info@boost-awards.co.uk with the subject line ‘Delivering Wow’. Current vacancies Spring 2019: We are not currently hiring.